Introduced in 1982, the Excel was a sort of evolution of the earlier Lotus Eclat. It was born out of the limited partnership between Lotus and Toyota when the latter’s Supra was in development. This later Excel is powered by a 2.2-liter straight-four making 160 horsepower, which was the same engine used in Esprits of the era. There were a few special editions that made more power, but all cars more or less looked identical. Production lasted 10 years and ended in 1992. It’s a little confusing trying to figure out how many were built because numbers vary everywhere you look. Somewhere between 1,400 and 2,500 were actually built, and about 10% of them are still registered in the U.K. A Lotus is an exotic car, and this is one of the best ways to get an exotic for a reasonable price. Figure $7,500-$8,750. Just hope you don’t suffer any crazy issues. Click here for more info. 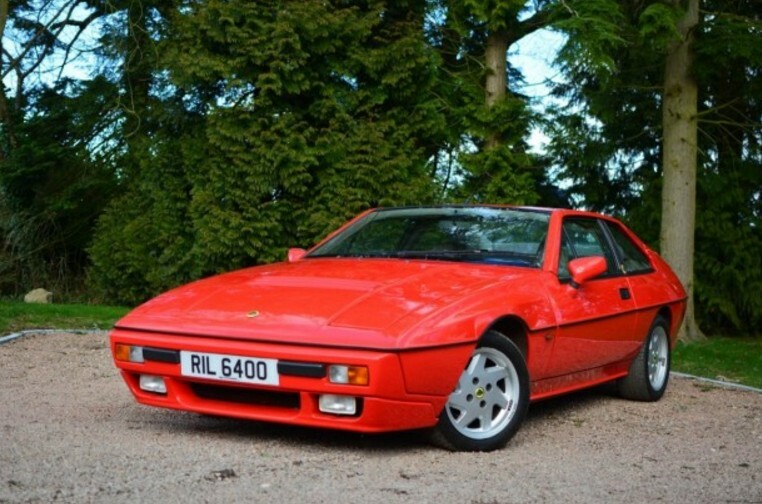 This entry was posted in Uncategorized and tagged 1989, auctions, brightwells, cars, classic cars, excel, lotus by classiccarweekly. Bookmark the permalink.